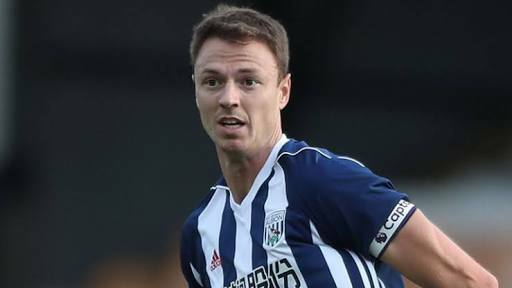 Leicester City have signed defender Jonny Evans from West Bromwich Albion for an undisclosed fee. Northern Ireland international Evans, 30, has put pen to paper on a three-year contract at the King Power Stadium. He had been strongly linked with a move from The Hawthorns after West Brom were relegated from the Premier League, having been a reported target for Manchester City in the winter. "It's great to join and I'm happy it's all gone through," former Manchester United player Evans told Leicester's official website. "When this opportunity came up, it's one that I couldn't turn down. It's an ambitious club, the owners are ambitious and everyone wants to push the club forward. "I hope that I can give lots to the team and the club. It's a great place to play football, the fans really get behind the team and the players are fantastic -- these are all factors that made me want to sign for this football club." Leicester manager Claude Puel said the arrival of Evans was "fantastic news" and added: "He knows exactly what it takes -- he is a winner and a leader. "He will bring a great deal to our squad, and I'm delighted to welcome him to Leicester City."